I’m a very passionate person. 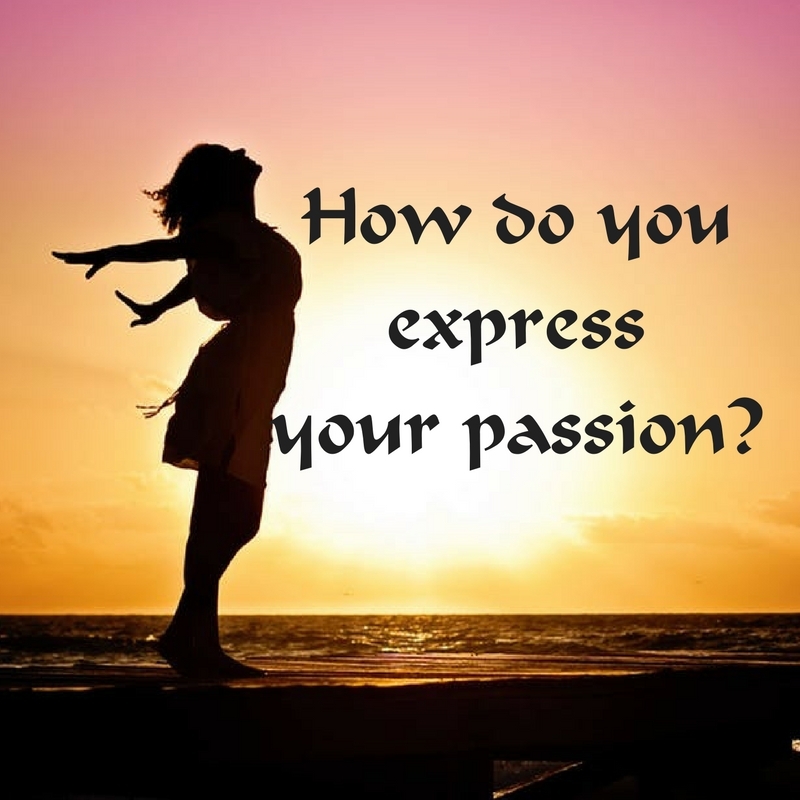 Other words for passionate are: intense, emotional, heartfelt, eager, excited, spirited, energetic, wild and consuming. These are all pretty descriptive of me when it comes to life and especially about belly dance. I’m also ADHD. I don’t know if that has anything to do with passion but it feels like it does because I bounce around and I’m spirited, energetic and wild. I have to say that besides my kids and grandkids, the thing I’m most passionate about in my life is belly dance. Yes, you knew that didn’t you? Belly dance has given me so much and there is so much to it that inspires my passion. I love performing. When I perform, it feels like I go into an alternate universe or dimension. I’m no longer in the mundane world, no longer have daily chores, no longer overweight or over 60. I feel completely connected to my spirituality, to joy and bliss and completely free. I know it might sound odd, but performing belly dance is the closest I feel to God/dess. While I dance there are no distractions from my bliss. I love to teach. Sharing the dance with other women and watching them blossom into confident and empowered women is that best occupation in the universe! Seeing a student perform for the first time and watching her tap into joy is such an amazing experience. There is nothing else like it. One of my passions is world peace and I believe that music and dance can bring peace and healing to our world. There are no borders or boundaries when it comes to music and dance. When I belly dance, I’m an emissary for peace, a tiny example of the beauty of the Middle East. I use teaching and performing belly dance as a tool for decreasing fear and division in the world. My greatest heart’s desire is to be of service to humanity by helping to empower women through writing and belly dance. I believe that once we are in touch with our true power, we have the potential to bring more love and light into the world. Once we gain the confidence to express our unique essence in the world, we will be able to help healing the wounds of humanity. My desire is to reach around the world to help women stand in their power because I believe that women are going to heal the world. 1. First of all, decide whether or not you want a stage name. Things to think about are where do you want to go with the dance. Are you dancing just for fun? If so, it might be fun to have a stage name. Do you want a dance career? If so, you might want a dance name that is unique to you. 2. Two Benefits of a stage name. For me, having a stage name helped me overcome shyness and stage fright. I would take a few moments back stage (or in a bathroom stall for privacy) to imagine myself as Mezdulene. Mezdulene didn’t do dishes or laundry; she didn’t do soccer practice. Mezdulene was a divinely feminine belly dancer. Having a different persona really helped me a lot. Another benefit of a stage name is that if you do end up making a career out of belly dance, you will have a unique and memorable persona. Performing under your birth name of Brenda or Jenny doesn’t help you stand out from the crowd. 3. Advice for choosing a stage name. There are at least three ways to get a stage name. The most obvious is to choose one yourself. You can find lists of Middle Eastern names online and you can choose a name that you feel expresses what you want to express as a dancer. Often the lists also have meanings of the names so you can also choose by the meaning. You can also ask your teacher to give you a name, but I would suggest asking her to give you the option of at least three to choose from. Lastly, someone from the Middle East might suggest a name for you which is how I got the name Mezdulene. If you do choose a Middle Eastern name, ask your teacher about it. Some names are very common such as Amara and Zaina and if you absolutely have to have such a name, it’s wise to add a second name. For instance I know two Zainas, Zaina Hart and Zaina Ali. So why do you want to choose either an uncommon name or add a second name to a common name? The reason is so that you stand out from the crowd. At some point, belly dance might become your career and you won’t want to be one of dozen Leylas. Even if you don’t ever make it a career it’s still nice to have a unique name just for you! 4. Does a belly dance name have to be Middle Eastern? The important thing about having a belly dance name is to have your own dancing persona. It’s nice to honor the heritage of belly dance by choosing a Middle Eastern name, but it’s really about expressing yourself. So, if you want to modify your legal name from Susan to Suzanna or Judy to Judith, that’s fine. If you want to honor an ancestor by choosing her name, that’s cool! If an Indian or Hawaiian word works for you, use it! Your stage name is a unique expression of you and it’s your personal choice. If you have any comments or questions, please respond in the comments below. And, if you found this email helpful, please feel free to forward it to anyone you feel might benefit by reading it. One day, I followed my guidance and spontaneously visited my friend, Dunyah. As we talked, she shared that her brother had invited her to Mexico and she didn't want to go alone. I immediately raised my hand and said, "I'll go!" I've never been to Mexico except for border towns which are not a good representation of this beautiful country, so I was really excited about our trip. In the back of my mind, I wondered if I would be able to find a place to do a retreat. A woman named Susan, picked us up at the airport and drove us to the home we'd be staying in thanks to Dunyah’s brother. Let's just say that this simple country girl got a taste of the good life! Wow! Right outside of my bedroom was a gorgeous pool that we spent a lot of time in. We skinny-dipped under the full moon and talked about our dreams. It was a magical time. Dunyah’s brother and his friend were doing an art show at a fancy resort restaurant. We hung out on the beach there, swam in the warm ocean and got massages. It was a relaxing and healing time. Did I mention the good life? Fortunately, Dunyah has been studying Spanish because we weren't in a tourist destination and very few people spoke English. We were independent women and rode taxis to the market place, ate delicious food on sidewalks and Dunyah chatted with people in Spanish. Southern Mexico is tropical, and it was in the upper 80’s while we were there, quite the contrast to the upper 30’s we left behind in Oregon. Flowers were blooming everywhere and the people there were so friendly to us Gringos. Because of our remote location I gave up on the idea of finding a retreat space and just enjoyed my vacation. I had school work to do, but when you go to college on-line all you need is wi-fi! I even took an on-line proctored mid-term and got 100%. A couple of days before we had to leave, Susan and her husband Bill came over for dinner. We told them all about belly dance then performed for them and got them up to join us. It was a fun evening! Susan and Bill are retired Americans who now live in Mexico, and they asked me questions about my retreats. It turns out, they host retreats in their two homes and want me to come and do one there. Really? Yes, really! What a wonderful opportunity. A dream come true! So, stayed-tuned for more information about next year’s Mexico retreat the end of March. I’ll be posting details as soon as it’s all set up. And if you’ve been wondering what happened to my Hawaii retreat; it’s still happening. Going back to college mixed with staffing problems at the retreat center I want to use has caused a delay. It will also be in 2018! Please feel free to share my newsletter. I’d love to grow my email list. Rebecca tries to catch a mole at med fest! Time seems to slip through my mind like water through my fingers when I dip my hands in a pond and try to scoop it up and hold it with most of it sliding through and back into it’s source. I can’t hold time any more than I can hold water. Sometimes it makes me crazy and sometimes it just is what it is and I just observe it and find peace with it. So much has happened in my life the past few months. Change is the only constant in my life and sometimes I get sucked into the changes and lose track of time and space. But I’m back with an update on my recent adventures. My cousin, Kathe Alkoudsi, owner of Cartouche Costuming, decided to retire and I bravely took over her business! I changed the name to 'Bliss Belly Dance Boutique' and thus began a life-changing adventure. Check out my Ebay Store and my Facebook Page! I am sooooo excited!!! During the last week of May, I flew to Kansas to stay with Kathe. She picked me up at the airport and drove me directly to a fabulous Greek restaurant where we met up with Siham Ali and I was treated to wonderful food and a very fantastic show by Zaina Ali. Then we spent the week packing 88 boxes of belly dance costuming goodness from Egypt and Syria and shipped 5 pallets with 3,000 lbs. of it to my studio in Oregon. 88 boxes! In my studio! Where does a person put 3,000 lbs of costuming? Everywhere! Fortunately I have a fairly large living room so I still have a place to hold dance classes! Someday, we’ll dance in the studio again where the mirrors live. Until then, I’m unpacking and I’ve opened an Ebay store. After returning home from Kansas, I hit the ground running right to Belly Dancer USA. It was a fabulous weekend and we had more entries than ever. Our new categories were a hit, the professional live music improvisation category with music by Americanistan made for a great show, and the Jungle Boogie improvisation category on Sunday was a surprise hit and so much fun, we were all energized. With just a couple of days to recover from putting on Belly Dancer USA, I headed north for the Portland Middle Eastern Dance and Music Camp. What a wonderful weekend it was filled with dance and music classes. The days were full of live music as musicians practiced between classes. Hanging out with Dalia Carella and Amel Tafsout, two Goddesses of belly dance, was a special treat. The dance classes were varied and fun and the shows were fabulous! It rained all weekend, but it didn’t put a damper on camp. It was a delight to go to a camp where someone beside me was in charge! The next weekend I headed north again, this time to the Salem World Beat Festival. This is an amazing event with ‘villages’ from around the world. As you walk through the beautiful park you can hear bagpipes, African drums, Native American drums, Japanese Taiko drums and see dances from around the world. It’s a wonderful event. Of course dancing to Americanistan was my highlight along with hanging with my Salem friends. My last big venture was to the Seattle Mediterranean Fantasy Festival where I vended my new costumes. It was an incredible weekend where every time I turned around, the Universe sent me help. I was alone with no helper and dreaded unloading and setting up by myself. I got to the festival sight and started to unload, and here came Michelle Marion to help me, an unexpected surprise. I couldn't put the canopy up alone but Jamilla and Julie helped me. I forgot stakes and here came Joseph to stake my canopy down and then he and Jamilla came back later to help me put the sides up. Best of all, Rebecca Wolf-Nail helped me all weekend and sold out her newest belly dance mystery, “I’ll Die at Your Wedding,” which I’m looking forward to reading. She also tried to catch a mole as it pushed dirt up right in front of us! Overall, it was a very fun weekend and the best part was staying with my friend and mentor, Halima. The next weekend was my third annual Divine Feminine Retreat which was filled with sacred events and bonding with heart sisters. I’m already planning next year’s retreat! So, you can see it’s been non-stop which is very exciting for me. To be healthy and vital enough to do so much traveling and dancing is just a miraculous feeling for me. I feel like I have my life back. I have to run now and prepare for my Divine Feminine Dance workshop at Unity Church tomorrow. I once talked to a dancer who lived in a city of more than 1,000,000 people and she was complaining about how there were too many teachers in town and not enough students. I asked her how many teachers she thought there were and she said at least six and a new one just moved into town! What a drama trauma she was undergoing worrying about a 7th teacher in a city of a million people. I live in a town with less than 5,000 residents. We have three whole stoplights! I’ve had a belly dance studio here for years. I don’t make my entire living teaching belly dance, but I have made a ton of friends and I’m known throughout the town. I could have more students if I wanted, but I’m happy teaching just a few classes and directing my troupe. My studio is actually three miles out of town in a rural area, and my students come from as far as 40 miles away. For a few years, I was the only belly dance teacher in the area. Then a couple of other dancers started classes and a couple of my students started teaching and at one time there were seven teachers holding classes. That’s right, seven teachers. Was I dramatized? Of course not. I don’t believe in competition. I believe that the more classes in the area, the more dancers we have and the more exposure and education our community receives about belly dancing. More dancers and more community acceptance, the more dance opportunities we have and the more fun there is to be had. The other studio closed after a couple of years, many of the teachers stopped teaching and for awhile I was the only one teaching again. When I moved to this community, twenty years ago, people equated belly dancers with strippers and the local dancers were dancing in bars. I haven’t heard a stripper remark in several years and we are widely accepted in the community. I recently gave a talk in a healing group about the healing benefits of belly dance and from there received an invitation to give a talk about belly dance in a local church. We have come a very long way towards acceptance in our community and I couldn’t have done it alone! Now there are three of us teaching in our large, rural county and we are all having fun. We have a wonderful belly dance community and lots of dancing opportunities. So, those of you who live in big cities? Don’t worry about competition; just get out there and get busy teaching. Make your own opportunities. Don’t let anything stop you! This past week has been a full one. In my last blog, “I Gave Up on Myself,” I mentioned that my heart’s desire was to make my living with belly dance and healing. I’d like to thank those of you who emailed me and shared your own feelings and experiences. I want you to know that I really appreciated it. I spent over 40 hours in three days last week working on my belly dance business and I loved it! I love feeling in control of my own destiny and love feeling a sense of accomplishment. First I made a huge list of things I needed or wanted to do. It was a long list and included the next six books I want to create and publish and lists of things I need to do for Spring Oasis, Belly Dancer USA and my annual retreat. Then I prioritized what needed to be done now and what could wait, and I worked on setting goals. Here is some personal insight about me: I am fabulous at having ideas, I love to plan new things and I have attention deficit disorder. Can you say, “squirrel?” Yes, I have a tendency to run in five different directions and I am very easily distracted. My greatest challenge is staying focused and following through. For instance, about a year ago, I asked several people to do Amazon reviews of ‘Belly Dance Transformations.’ Then I was immediately on to the next thing. Last week I remembered to check and see if they wrote the reviews. Only two of them had posted a review. Two. Now if I want to have a successful business, I’m pretty sure I need to follow up on things sooner than a year. Yes, pretty sure. I’ve always been a list maker, but often lost my lists. I tried using a computer program and ended up losing everything when my hard drive crashed, so I’m developing a system to help keep my brain on track, help me stay focused and help me remember to follow through. So far it seems to be working, and I am so excited about this! As the new year begins, I start looking ahead and planning my year. I mark important dates on my calendar such as the events I will be producing and the events I want to attend, plus any personal highlights such as grand children’s birthdays. Once upon a time, I was one of a rare group of sponsors here in the Northwest. To attend an event that I didn’t produce, I had to drive 200 or more miles because events were few and far between. Now there are events most weekends and I have to pick and choose between them. Now we all have to pick and choose. I read on Facebook yesterday that a new event was starting, an event I would love to attend and the inspiration for this weeks blog. I was very excited to see this new event happening, until I saw the date; they booked it the same date as Belly Dancer USA, an event I have done for over 30 years. So, needless to say, I don’t get to go to this new event and neither do my students and several vendors. This event is far enough away and in a big city, so it has the potential to be successful, but many events fail because they book on top of established events. So, I’d like to tell you a few stories about events that booked on top of me and give you some booking advice. Many years ago, when dinosaurs roamed the earth, I heard about a new belly dance festival and I was excited! It was only two hours away and something I could just go to and have fun without doing all the work. Then I got the bad news; it was booked on top of Belly Dancer USA. I contacted the sponsor and told her about the conflict, and asked if it were possible to change the date. Her response was “absolutely not!” As usual, Belly Dancer USA was successful but her event failed and she never tried to produce another event which was a loss to our local belly dance community. Not too long ago, someone else booked on top of Belly Dancer USA. Their event struggled to break even and the sponsor heard about all the people going to BDUSA, (the well-established event) and contacted me to see when my future date would be so she could book around it. She handled the whole thing with grace and respect and I honor her willingness to work with me so that the belly dance community would benefit from both events. I also sponsor, Mezdulene’s Belly Dance Retreat, another well-established event deep in the Oregon woods. It’s not open to the public and only attended by dancers and vendors, so someone I knew decided to change the date of her popular event to the same weekend of my retreat thinking it wouldn’t matter because her event was different and in another state. I called her and pointed out that it might be a problem because I had helped her establish her event and promote it so many of the attendees were my students and friends who would be at my retreat and that we had several vendors in common that wouldn’t be able to attend, so even though they were different events far apart, there was a conflict of interest. Her response was anger. Not only has she not spoken to me since, but her event failed. It had been a very successful and fun event to attend every year and was a sad loss to our community. Then there was the year I was going to sponsor a fabulous dancer in a workshop and show and someone booked on top of me. When I contacted , she said, “I’m sorry, but it was the only weekend I could get because she’ll be on tour from Egypt.” I ended up having to cancel my event due to a lack of attendance. Years later, someone booked on top of her and she contacted me and told me she had talked to this person and she said, “I’m sorry, but it was the only weekend I could get because they’ll be on tour from Egypt.” I didn’t say anything but had to chuckle to myself that someone did and said the exact same thing that she did and said so many years before. Before you pick a date for your event, pay attention to the events in your area that are already established. Booking the same weekend or even the weekend or two before or after other events will harm your event. People can only afford to attend a certain amount of events and they will most likely choose to attend the well-established event that they know will be a good choice for their money. Also, look outside of your immediate area. If there is a national event such as Belly Dancer USA within your geographic range, it’s probably not a good time to have your event. People drive and fly hundreds of miles to such events, and vendors are going to go where they know they will be successful. Believe me when I say that vendors can make or break your event. Dancers love to shop and it’s important to have good vendors. That’s a given. But, some people don’t think about how the big sponsors travel to different events several times a month and they will be telling people about your event. So there you have it, my lovelies. May you all have great fun at all the wonderful events you attend this year. For me, events are like a big family reunion full of hugs and catching up on news as well as fabulous music and dancing. I believe that faith is a personal thing. I have Christian friends, Jewish friends, Muslim friends, Pagan friends, Hindu friends, Buddhist friends and the list goes on. Each of my friends are beautiful souls and believe in the power of love, and together we light up the world! I use light as a symbol for love. I tell people that my religion is love and I believe that the more we love, the lighter the world becomes. Love has the power to bring joy and banish suffering, it has the power to heal and it has the power to create great blessings. For instance, I just watched a special where a couple lost their daughter and started an organization in her name to help homeless children. Their love for their daughter lives on and continues to grow as it creates love and safety for hundreds of children. Love is the most powerful force in the universe and it is important to use this force each and every day. The more you give love, the more love you receive and the light just grows and grows. I have a small women’s group and we meet each Monday focusing on spirituality and healing. This coming Monday we will be doing our own version of a Solstice ritual where we will be letting go of things we want to leave in the past/darkness and claiming what we want to bring into the present/light. It’s a time of new beginnings where all seems possible. Stating our desires in a group and witnessing with love what each other wants to manifest is a powerful thing as we support each other’s dreams. What do you want to leave behind; what no longer serves you? 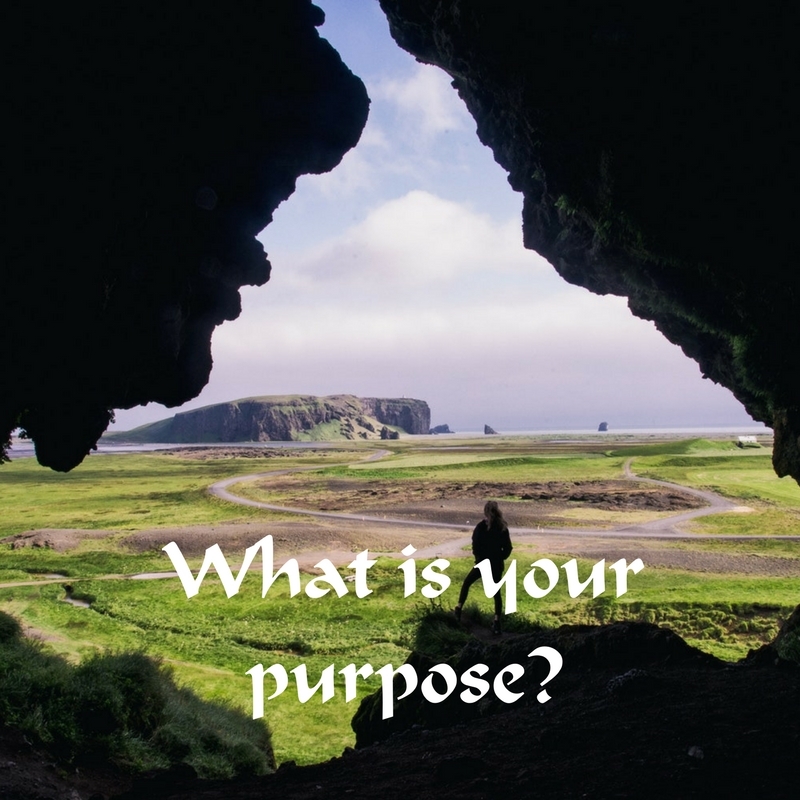 What do you want to manifest as the light returns? And, on a practical note, Vitamin D is a great supplement for this time of year. Where I live, we get very little actual sunshine because it rains so much and the sun we do get comes in at an angle and diffuses the UV-B rays that enable us to produce Vitamin D on our own. So for us northerners, SAD disease or Seasonal Affective Disorder is pretty common during the winter months and Vitamin D is an important supplement to help counteract it. Also, stress and sugar are not your friends this time of year so try to remember that love is the greatest gift of all, much better than fudge. Smile! It’s that time of year, the time of giving. December is the holiday season for many belief systems and a time to give gifts to our loved ones. In years past, I agonized over gift-giving. I’ve lived most of my life below what is considered poverty level, at times way below, and I’ve managed to be pretty creative. I discovered early on that I could make a gift that was worth way more than I could afford if I had to purchase it. For instance, one year, I made everyone quilts out of fabric scraps and many years I made everyone beautiful high-end jewelry. I’m a giver. I love to give. It makes me feel good! Of course I also love to receive! DING! It was a light bulb moment to realize that I could give to myself. I’ve made it a tradition, and have given myself everything from a book to a piece of jewelry to a piece of art. It’s fun to give to myself and I like to suggest to others that they start the same tradition. We all deserve to receive something we know we’ll love. Right? As the years went by I became overwhelmed with stuff, and I began to value other kinds of gifts. For instance, gift certificates for a massage or a nice dinner are great gifts to receive, and they don’t collect dust! Recently, my dance students all pitched in for a tattoo gift certificate for one of our troupies. Each year I have a dance studio Christmas party. We usually do a gift exchange or an ornament exchange. A few years ago, I started the tradition of re-gifting. You know all those gifts you receive that you’ll never use? There’s that pair of beautiful sparkling pink earrings and you hate pink or that book you’ve already read or perfume you’ll never wear and the list goes on. It’s time to pass these things along to someone who might love them. We put the gifts in a pile on the floor and draw numbers. Number one gets to go first and choose whichever gift looks appealing to them. They open the gift and then number two gets a turn. They can either pick out a gift from the pile or take number one’s gift and she gets to choose another one. It’s a fun way to do it. This year we’re going to stuff silly socks with re-gifting items and do a sock exchange. I think it'll be a lot of fun and something different. I have to admit that my favorite gift of all is the gift of friendship. One of my friends knew I was feeling a bit low last weekend, and she invited me over for dinner. It really cheered me up and was a wonderful gift to receive. Anymore, giving gifts rarely involves buying things, and my life is richer than ever. What are some of your gift giving traditions?